The South African economy has largely been driven in the last few years by increased consumerism from a growing middle class. The large number of enterprises representing the trade sector range from very large category wholesale organizations to tens of thousands of small, medium and micro enterprises (SMEEs) such as cafes, spazas and speciality goods retailers that represents 99% of the employers in the sector. The ongoing construction of new show rooms and shopping malls as well as the expansion of existing ones across the Province, gives evidence to the fact that the trade sector is thriving. The worthy finalists in the Trade Sector are Afgri Producer Services, iTalk Cellular, McCarthy Limited, Mr Price Group, and SPAR Group KZN. AFGRI Producer Services, based in Pietermaritzburg is a key supplier of inputs, equipment and services to the agricultural industry in Southern Africa. The organisation offers a comprehensive range of products and services through a network of retail outlets in both urban and rural areas. AFGRI Producer Services prides itself on its integrated approach to market needs, with the customer�s profitability a priority. This sets AFGRI apart from its competitors. AGri Producer Services fall under the umbrella of AFGRI Operations Limited. AFGRI Operations is a transforming force in the business of agriculture, offering a wide range of services, skills and expertise. A wealth of resources, coupled with intellectual capital, underpins AFGRI�s ability to innovate and provide tailor-made answers. Agricultural inputs, mechanisation equipment and services are supplied through regional structures. iTalk Cellular, an MTN exclusive Cellular Service Provider with its Head Office in Durban and Regional Offices in Johannesburg and Cape Town, began its foray into cellular in June 1999. Nine years later, iTalk Cellular is proud of its network of nearly 100 outlets nationally, with an ever-increasing demand for more outlets by eager entrepreneurs wishing to partner with iTalk Cellular. With its regional network of 50 outlets, iTalk Cellular�s operation in KwaZulu-Natal is the strongest of its national footprint. The opening of a cellular megastore at the Durban-based Head Office was a milestone in the development of the dynamic company. The Megastore has been designed to accommodate all iTalk Cellular operations in an attractive, modern environment. McCarthy Limited is South Africa�s second largest motor retail organization with nationwide representation across more than 130 wholly-owned dealerships representing more than 30 great brands and are constantly acquiring more. The company is also the importers and distributors of all Yamaha products. McCarthy is part of the Bidvest Group, making up the Automotive arm of the Bidvest Group of companies an international service, trading and distribution company, listed on the JSE, and operating on four continents, employing 104 000 people. McCarthy has been in business for almost a century. The company�s business units span twelve motor-related industries from retailing, distribution, import, vehicle rental, insurance, finance, e-marketing, auctioneering, and more. Mr Price�s history as a retail business stretches as far back as 1885 and includes listing on the stock exchange of the JSE Limited in 1952. The more recent history of the group is marked by the change in control of John Orr Holdings in 1986 and the transformation from a predominantly credit-based department store business to a largely cash-driven value retailer which today operates 862 stores across Southern Africa. These stores include clothing, home d�cor and furniture and very recently sporting goods. With the 1960's emergence of grocery chains in South Africa, a group of 8 wholesalers was given the exclusive rights to the SPAR name in 1963, to service 500 small retailers. A number of mergers and take-overs followed, and today, The SPAR Group Ltd operates 6 distribution centres, supplies goods and services to over 800 SPAR stores in South Africa. The Group is committed to Broad-based Black Economic Empowerment (BBBEE). SPAR subscribes to the strategy that looks to position BBBEE as a tool to broaden the country's base and to accelerate growth and job creation. SPAR has adopted an employment equity policy that promotes equal opportunity and fair treatment in employment through the elimination of discriminatory practices. All distribution facilities are compliant with the Employment Equity Act, with plans and goals having been established and equity reports submitted. Equality of opportunity is underpinned by an affirmative action programme with progress being closely monitored. 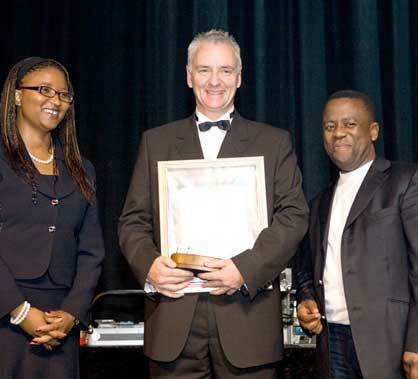 SPAR is an active supporter of Business against Crime and provides funding to HIV/Aids orphans. Over the last 10 years SPAR has taken a conscious decision to support Women's sport and saw a real need to assist in an area that has been traditionally overlooked by sponsors. SPAR currently sponsors the SA Ladies Netball and Hockey teams. A recent development has been the SPAR sponsorship of the Amazulu Football Club.